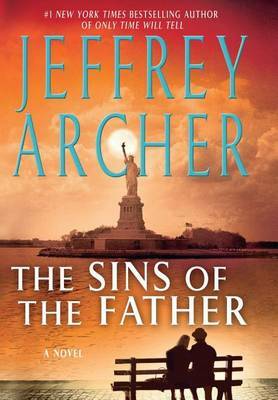 Originally published: Great Britain: Macmillan, 2012.
International bestselling author Jeffrey Archer returns with his most ambitious work of epic storytelling--a multi-generational saga of fate, fortune, and redemption that began with ONLY TIME WILL TELL. On the heels of the international bestseller ONLY TIME WILL TELL, Jeffrey Archer picks up the sweeping story of the Clifton Chronicles.... Only days before Britain declares war on Germany, Harry Clifton, hoping to escape the consequences of long-buried family secrets recently revealed, and forced to admit that his wish to marry Emma Barrington will never be fulfilled, has joined the Merchant Navy. But his ship is sunk in the Atlantic by a German U-boat, drowning almost the entire crew. An American cruise liner, the SS Kansas Star, rescues a handful of sailors, among them Harry and the third officer, an American named Tom Bradshaw. When Bradshaw dies in the night, Harry seizes on the chance to escape his tangled past and assumes his identity. But on landing in America, he quickly learns the risks of such a scheme, when he discovers what is awaiting Bradshaw in New York. Without any way of proving his true identity, Harry Clifton is now chained to a past that might be far worse than the one he had hoped to escape. Jeffrey Archer was educated at Oxford University. He has served five years in Britain's House of Commons and twenty years in the House of Lords. All of his novels and short story collections-including Only Time Will Tell, Kane & Abel, and A Prisoner of Birth-have been international bestselling books. Archer is married with two sons and lives in London and Cambridge.